If you’re the type who likes to consistently check Internet speed in order to arm yourself with some ammunition to complain to your Internet service provider about the lack of quality service, then Netflix has just the tool for you. 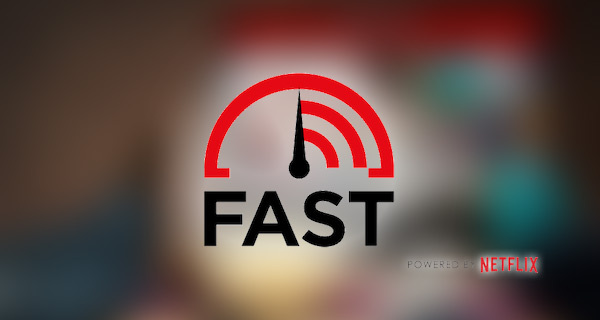 The media streaming company has just launched Fast.com, which is literally the simplest way that we’ve seen for users to be able to get an almost instantaneous estimation of their Internet speed that is being provided by their choice of ISP. Anyone looking to get an estimation of Internet speed would have likely defaulted to Speedtest.net on the web, or the native mobile app of the same name if they wanted to run the test through a smartphone or tablet app. 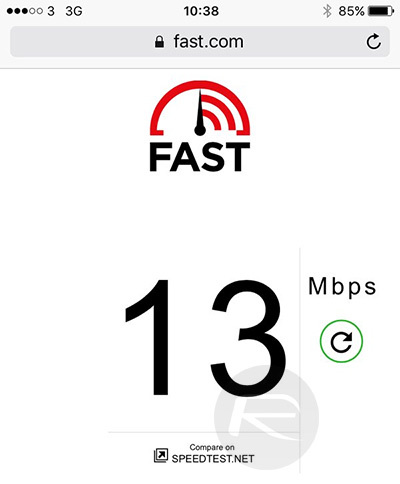 Netflix’s Fast.com essentially offers the same service as Speedtest.net, but does so with a significantly stripped back user-interface that is entirely free of clutter and noise, and that gets to work on the task at hand without any interaction from the user whatsoever. Open a browser, navigate to Fast.com, and the test happens automatically. There’s actually also a handy little link that takes you directly to Speedtest.net in order to compare results as well as get an indication of upload speed, a test that’s outside of the remit of this new “Powered by Netflix” service. As part of its efforts to offer a super simple and easy-to-use testing service, Netflix has stayed clear of reporting on things like upload speed, ping, latency and other network affecting factors. The company also believes that download speed “is most relevant for people who are consuming content on the Internet”. If you read between the lines, the company wants to allow people to instantly test if their Internet speeds are capable of consuming Netflix content. In order to go about its work, Fast.com runs through a series of downloads directly from the Netflix servers, and provides a download speed estimation based on that process. It’s also a global service meaning that it should work from anywhere, and on any device type with no commercial element to it whatsoever. Interestingly, there isn’t even a direct link or reference to Netflix other than the “Powered by Netflix” logo at the bottom of the page. Check it out for yourself right now and find out if your ISP is delivering on its speed promises. I think this site is crap. all the readings are different. It considers the last reading every time. Not consistent. Tested several times.